Complex systems are qualified by the heterogeneity of the involved actors, the large mass of data, the distribution of the manipulated information and the dynamic of the environment in which they are immersed. Designing such systems necessitate theory and methodology. This paper is situated in the AMAS theory and the ADELFE methodology. The AMAS theory (Adaptive Multi-Agent System) was proposed to model complex systems. The ADELFE methodology was proposed to guide the AMAS designer. Building AMAS systems is not an easy task. The objective of the authors' work is to make the task of the AMAS designer less difficult. This paper details two main contributions that the authors proposed in this field. The first contribution consists in improving the ADELFE methodology by simulation techniques. The second contribution consists in enhancing the AMAS agent behavior by giving it the ability to self-design. Modelling complex systems requires the use of efficient techniques and powerful tools. Such systems are composed of a set of components and their main characteristic is that the non-linearity. This characteristic means that there are no direct relationship between the partial function (the function of the component) and the global function of the system. Otherwise, such systems are characterized by the emergence of the global function from the self-organization of the different components. In this context the paradigm of Adaptive Multi-Agent Systems (AMAS) has been proposed to model different types of complex systems. Enhance the adaptation capabilities of the MAS by means of simulation based techniques. In this paper, we begin in the first section (Context), by presenting briefly the main principals of AMAS theory and the ADELFE methodology (ADELFE 2.0) and we introduce the paradigm of Simulation Based design. 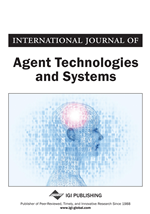 In the second section, we detail the first contribution of this paper which is the new model proposed for AMAS agents in order to give more autonomy to the agent by introducing what we call the “self-design” of the agents. This model considers the ability of the agent to learn from the interaction in which it participates in order to improve its cooperative behaviour. In the third section, we give details about the second main contribution of this paper which is the improvement of the ADELFE methodology by integrating simulation activities which permit to the AMAS designer to progressively build his system based on the simulation feedbacks. The last section presents the evaluation of these two contributions using three evaluation methods. We begin by evaluating the new process proposed for ADELFE using some evaluation criteria proposed in the literature to evaluate methods composed of fragments. The second evaluation consists in evaluation the new model proposed for the AMAS agents using an example of application which is the Red Donkey Game. Building artificial complex systems needs theory and methodology. Our paper is situated in the AMAS theory and the ADELFE methodology (ADELFE 2.0).